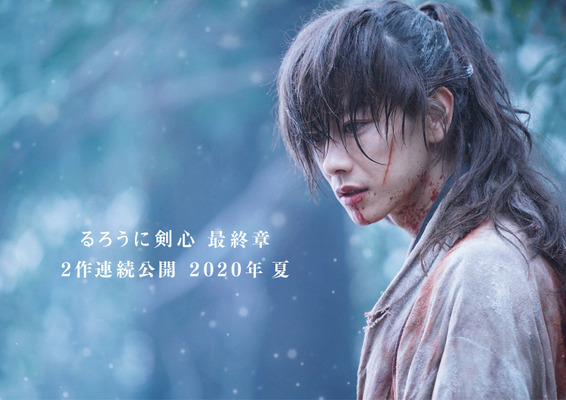 Kenshin Himura (Takeru Satoh) is a legendary swordsman. After the Meiji Restoration, he has stopped killing with the sword. He tries to live a peaceful life with Kaoru Kamiya who runs a swordsmanship school in the village. Things change. Akabeko Restaurant, which is Kenshin Himura’s favorite place to eat, is destroyed. Kenshin Himura finds a note written “Junchu” there. Based on popular manga series "Rurouni Kenshin: Junchuhen“ written & illustrated by Nobuhiro Watsuki (published in Weekly Shonen Jump from September 2, 1994 – November 4, 1999). Filming for the final two movies began November, 2018 and finishes May, 2019. Minachan Apr 21 2019 3:13 am Aaaaaahhh! This is super duper my favorite anime live action film!! Takeru Sato is just so perfect to be Kenshin and paired with Emi Takei as Kaoru!! They look so cute together!! Eun.nim Apr 19 2019 1:10 am Can't wait ? Sam Apr 17 2019 6:55 pm Kenshin!!!!! lalalala Apr 16 2019 9:19 am Okay~ Now I already love this <333 Kenshiiiin!!! Vouz Apr 15 2019 3:19 am Please don't change kaoru dono.. Let emi takei be kaoru-dono again..
Aprilla Apr 13 2019 5:17 pm This is not just a dream rightt???! Yattaa!! karenktq Apr 12 2019 11:58 pm Didn't expect this after 6 years. 5 movies in total! hyun Apr 12 2019 2:25 pm omg tell me im not dreaming ? LirPaYui Apr 12 2019 1:34 am I am so excited and I really can't wait! I love you so much Takeru?